I live in Fort Walton Beach, Florida. 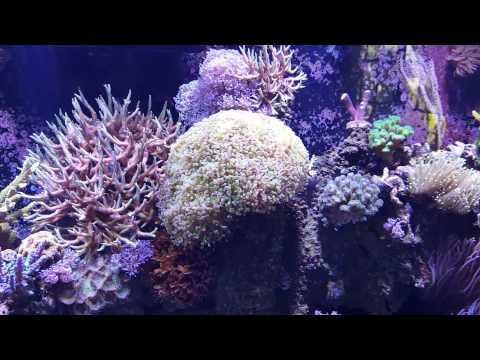 I started with a with a 30 gallon saltwater tank with soft coral and fish in 2000. About 2 years later I added a 75 gallon bow front tank and did a fresh water planted tank. 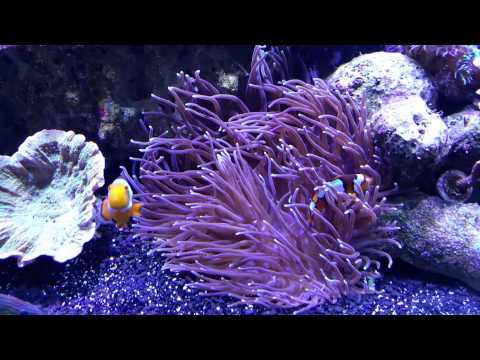 I decided that my interest really was with the saltwater tank and sold the 30 gallon and turned the 75 gallon to saltwater. The tank was not drilled with overflows so a canister filter was used. After several years I decided that an upgrade was in order so I purchased a 110 gallon drill tank with 2 overflows. This tank was mostly soft coral with some LPS. I was not careful when cleaning the glass and it became very scratched and looked awful. The tank had also become over run with mushrooms. 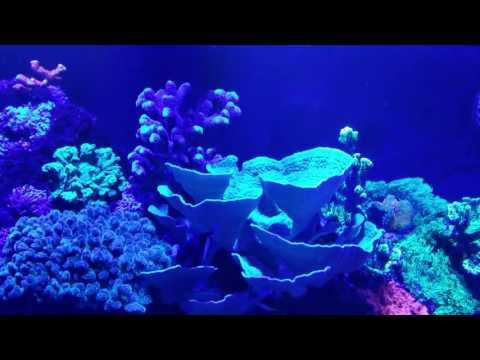 I thought about selling everything an getting out of the reefing hobby. After a few months I decided to break the whole thing down and try to buff the glass. Needless to say it did not go well and I made it worse. I then decided that if I was going to stay in this hobby I was going to get the tank I wanted and do SPS along with LPS and some soft coral. I am now 7 months into my new tank and really glad I made the decision to start over. 2 Flower Pot Coral, Short Polyp Goniopora sp. On average you perform a 12% water change every 20 days.